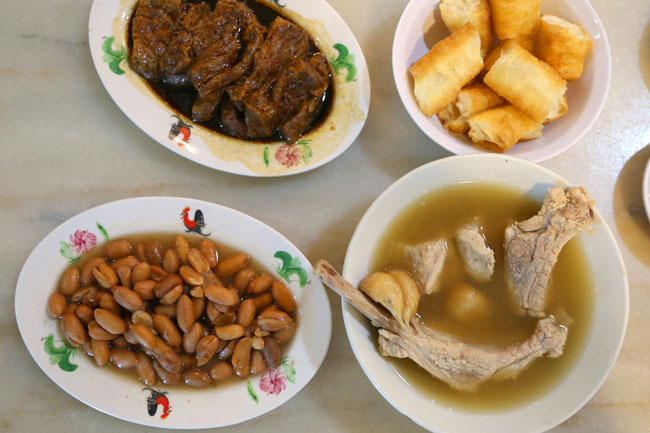 Founder is one of Singapore’s most famous Bak Kut Teh shop, known for having its entire walls pasted with pictures of celebrities. Actually almost every Asian celeb I can recognize has been here, from mega-stars, Hong Kong actors, singers to MediaCorp artistes (Emil Chau, Sandra Ng, Lee Hom, S.H.E. Fann Wong etc). Founder’s Founder who was a pig farmer is said to have founded/created the dish based on trial and error, not based on any formula – which is why it is called Founder. He never wanted to open a branch to maintain the consistency of his BKT, but finally allowed his daughter to open her own at Rangoon Road. 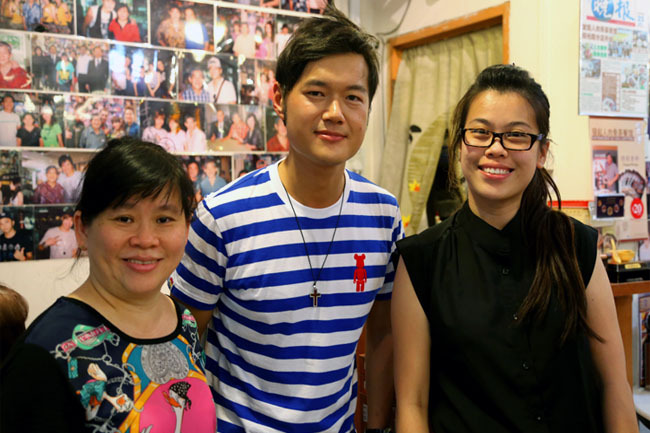 Competitor Ng Ah Sio is just a walk away, but that’s not stopping customers from packing the new Founder BKT. 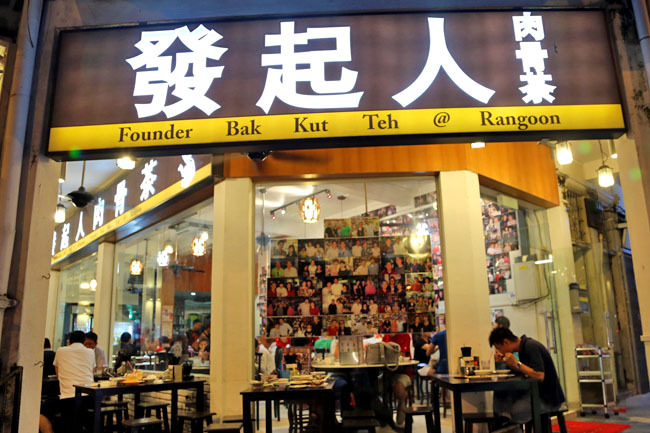 I would recommend the Founder Bak Kut The with Ribs combo ($8.00) where you can one entire long prime rib, along with some of its sides such as Tau Pok ($3.00), Peanut ($3.00), Tau Kee ($3.00) and You Tiao ($1.50). 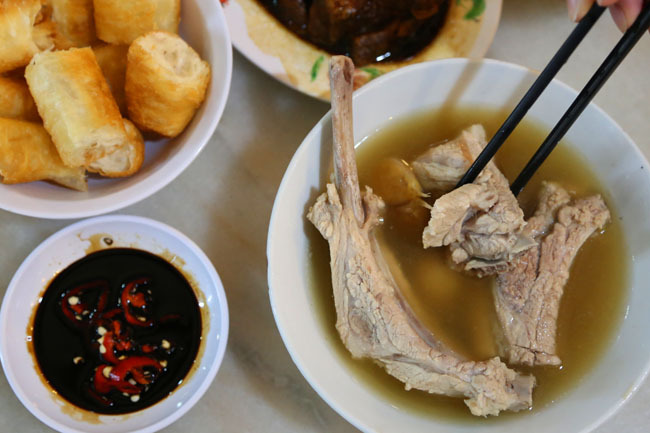 Their Bak Kut Teh is such comfort food! 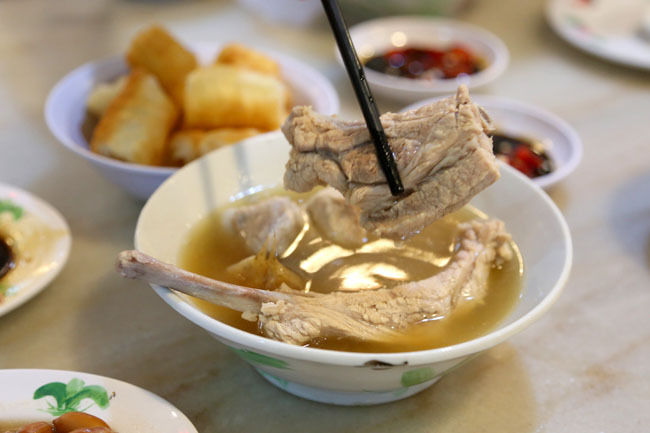 The soup was very hot (like warm-hot-hot), slightly sweet and very peppery, and I could not stop sipping it down, or dipping the crispy You Tiao down to absorb some of the stock. For once, the You Tiao actually tasted fresh and fluffy, whereas many other shops’ are cold and hard. The only draw-back that I have that would make it the perfect bowl is that the pork felt slightly tougher compared to some of my other favourite BKT brands. Fortunately, I did not come in my baggy tees, shorts and slippers. Okay, I may possibly land up in one of Founder’s Wall of Fame. LOL. HAHAH! omg u famous liao! 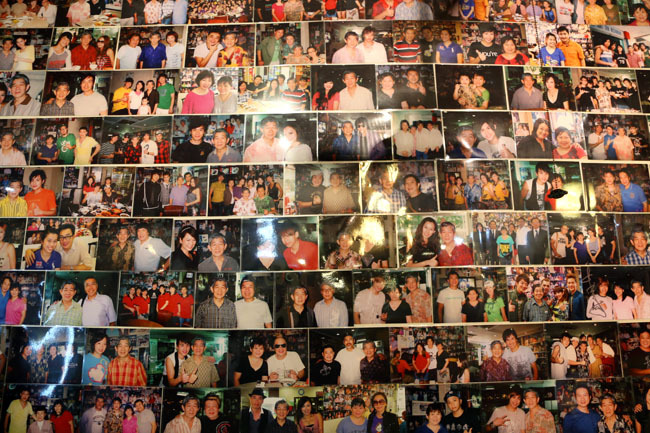 now I got to go rangoon road branch and see if your picture is there! Maybe somewhere in a small small corner lol. Is this better than Song Fa BKT? I like Founder’s soup, but Song Fa’s meat and some of their sides. Does this answer your question? haha. Ok, I will try it myself soon….after the haze is over. Thanks! 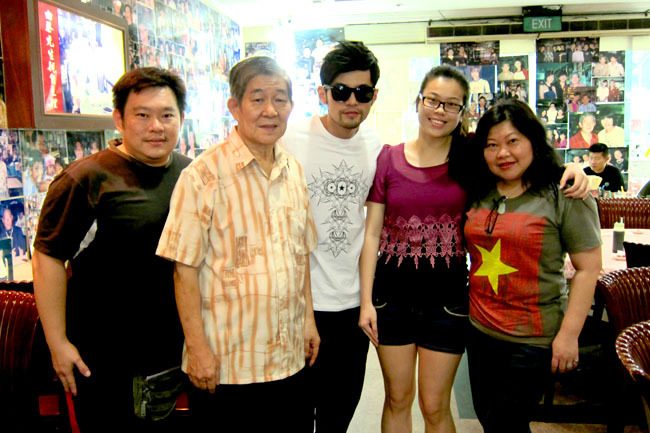 I also have an experienced saw Jay Chou at another Bak Kut Teh shop @ old klang road. That time was around 1.30am Believe is a supper for him and his crew after his concert.